Europe’s My Nintendo website has just added three discounts for certain Pokemon games on the Wii U. First off there is a 30% discount for Pokemon Mystery Dungeon: Blue Rescue Team on the Wii U’s Virtual Console that will cost you 200 Platinum Coins. 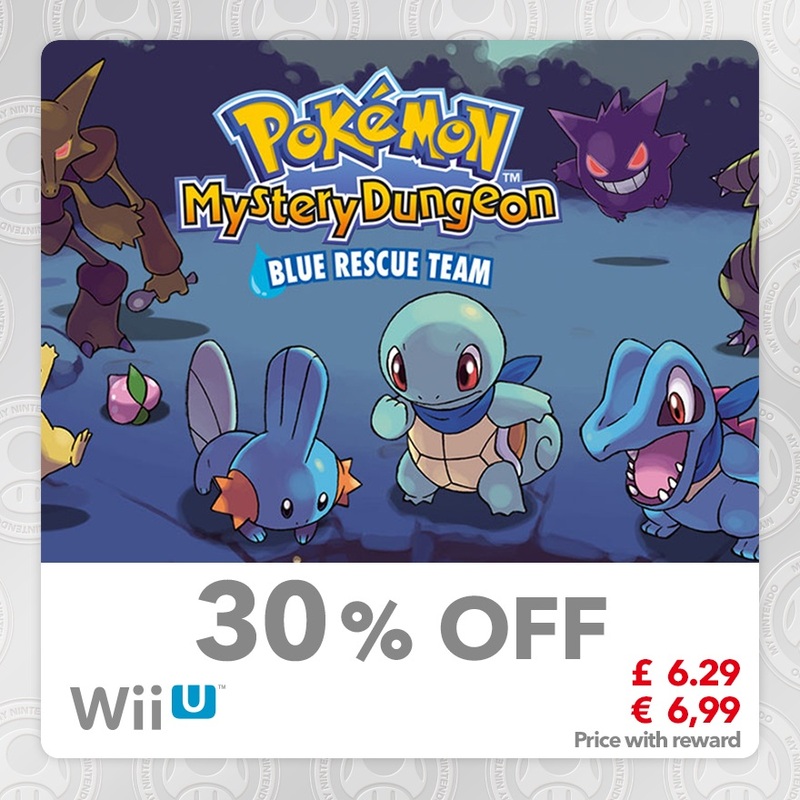 This discount also applies to Pokemon Mystery Dungeon: Red Rescue Team as well. Finally, there is a 35% discount for Pokemon Rumble U on the Wii U eShop that cost 350 Platinum Coins to download. You can get these discounts here, which will be on available on Europe’s My Nintendo until November 1st.